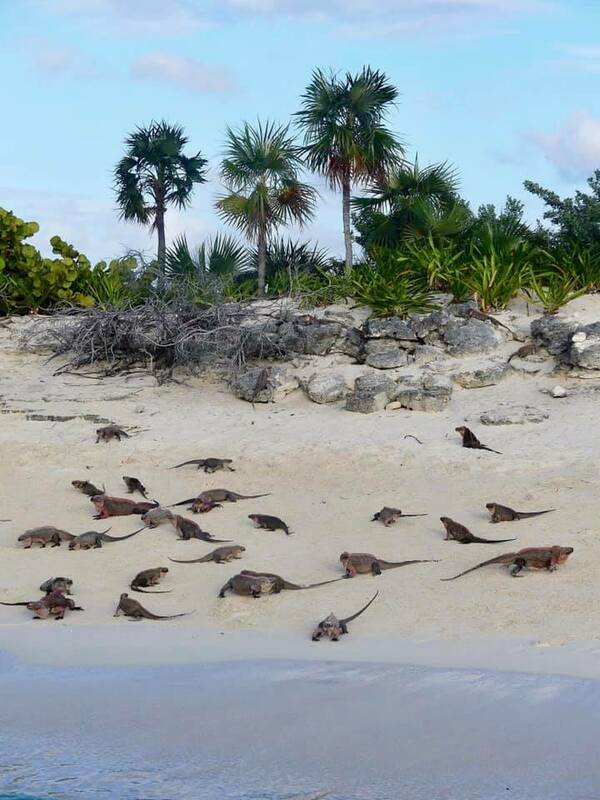 While the swimming pigs were unusual and fun, the truly amazing nature and wildlife experience for me was visiting the tiny uninhabited Allen’s Cay. 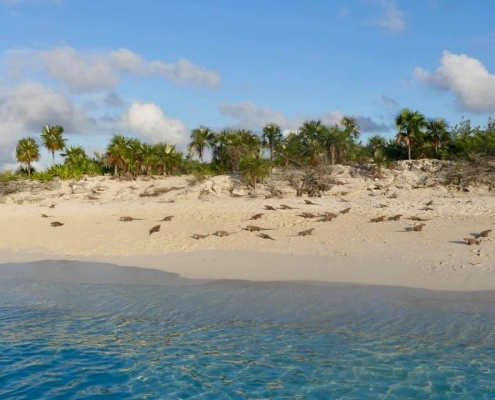 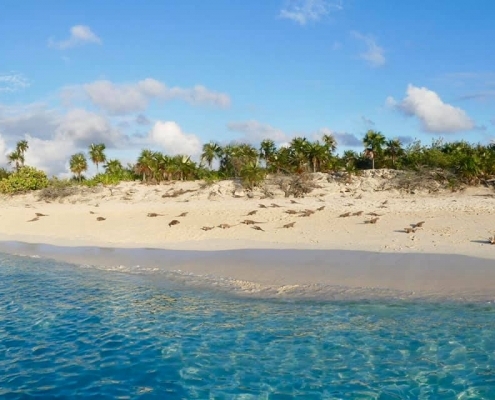 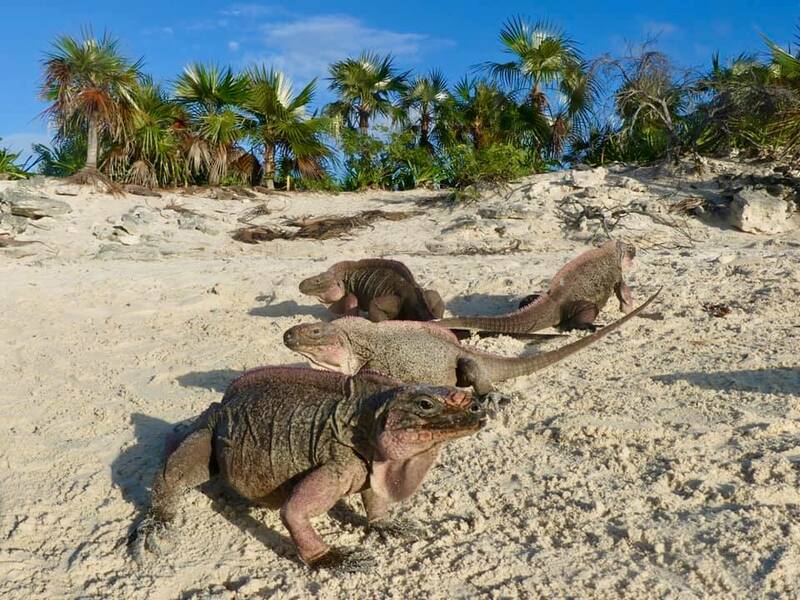 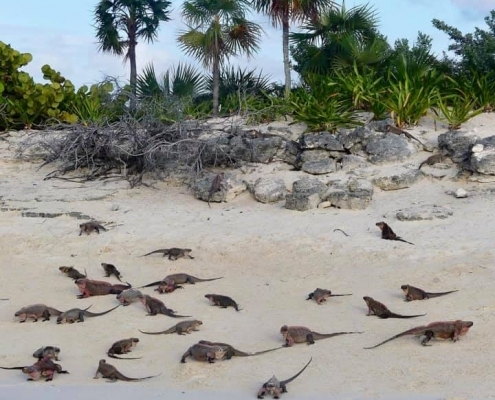 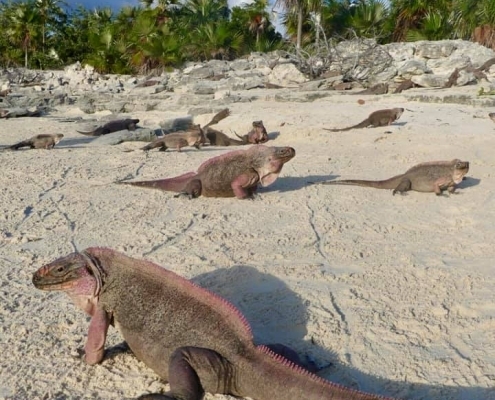 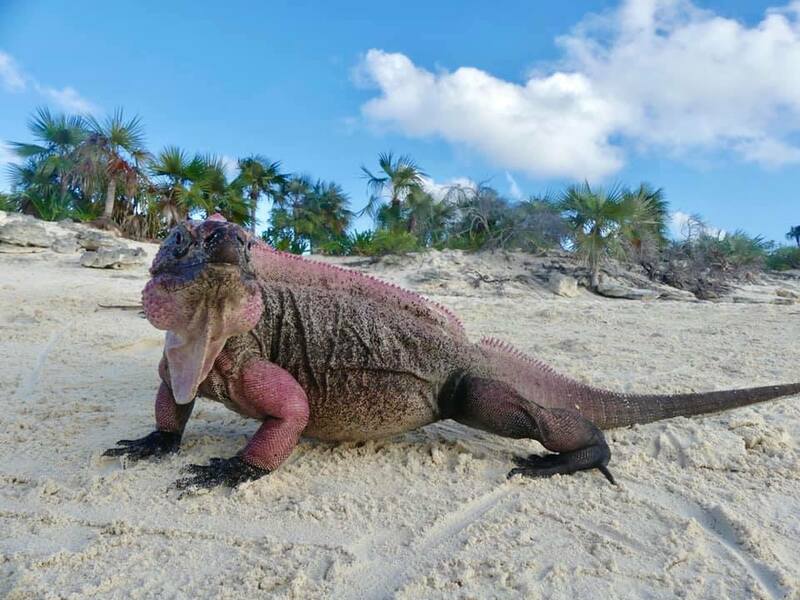 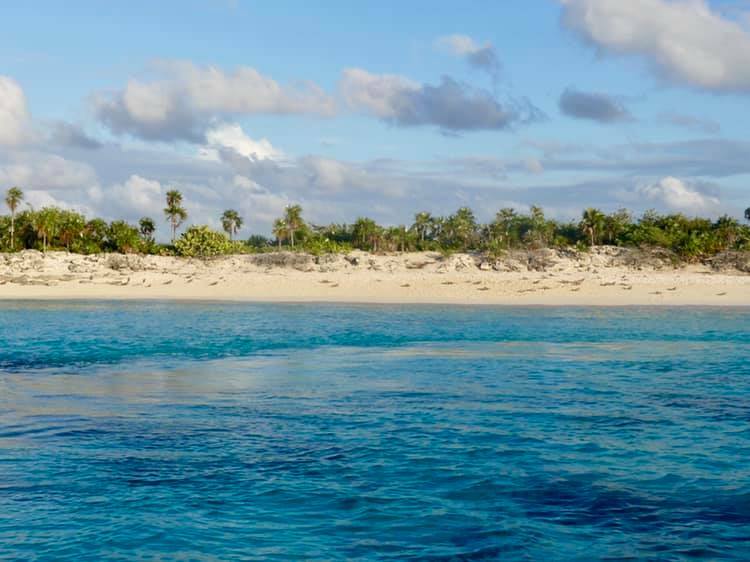 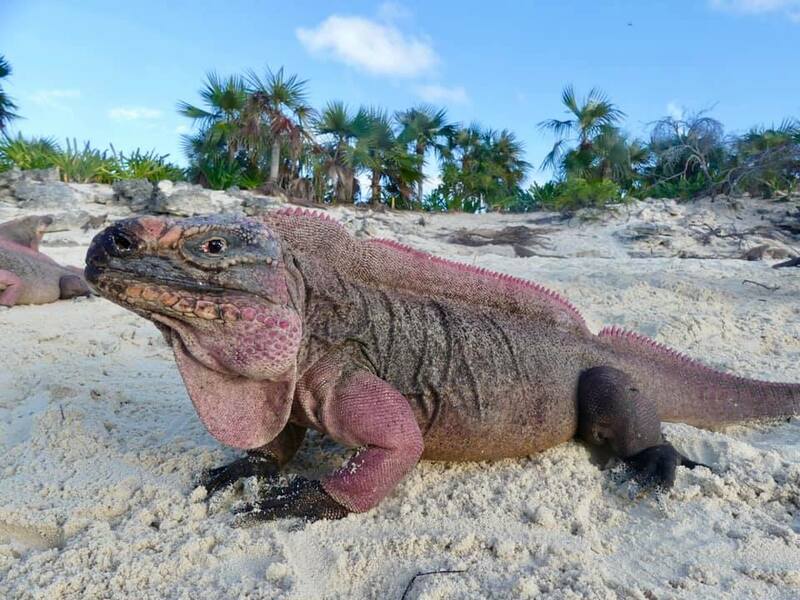 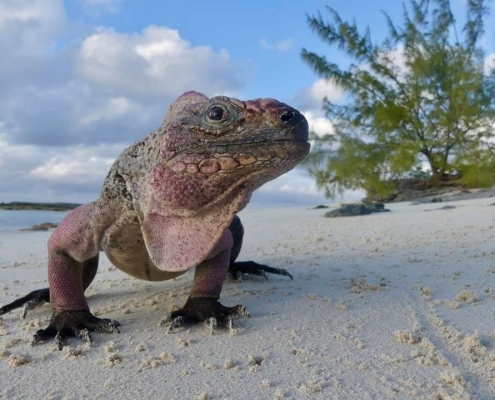 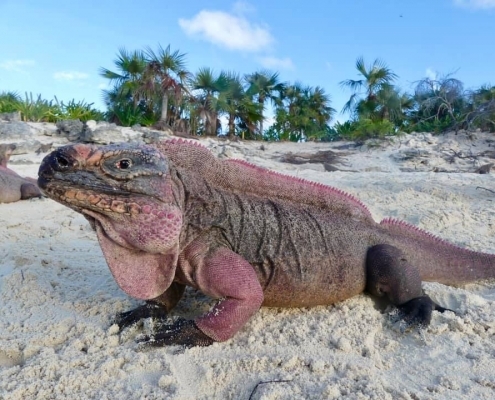 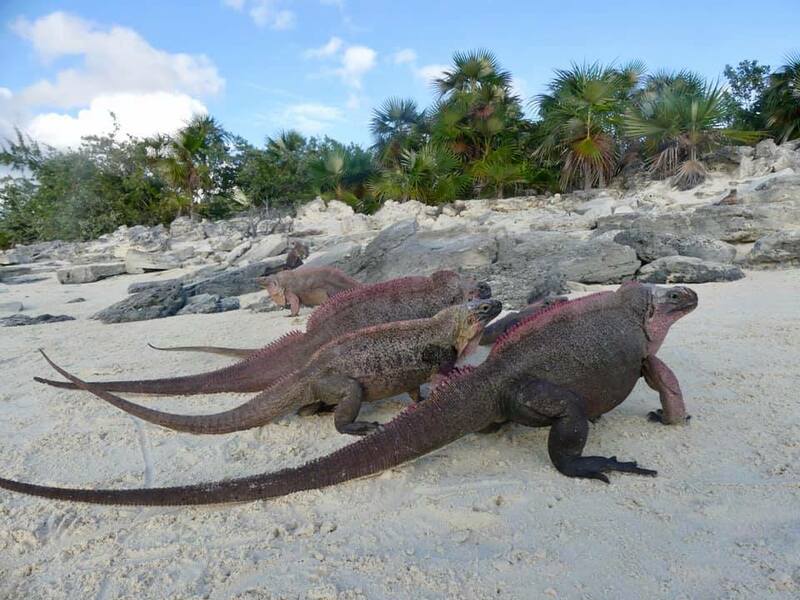 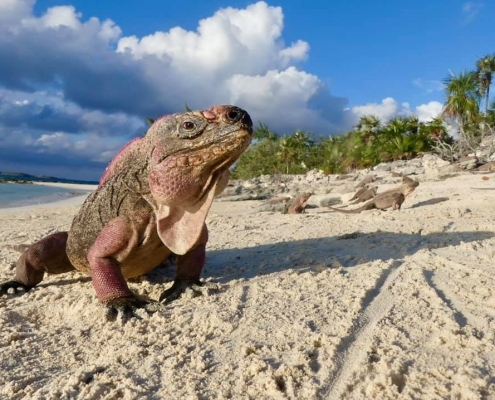 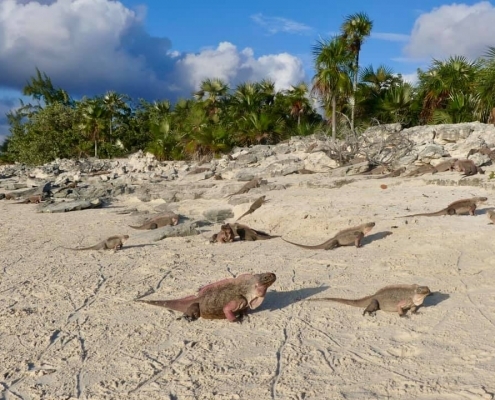 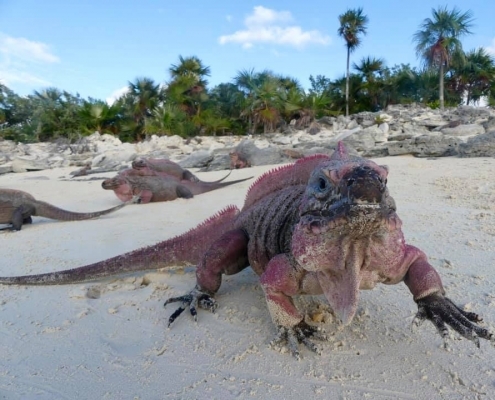 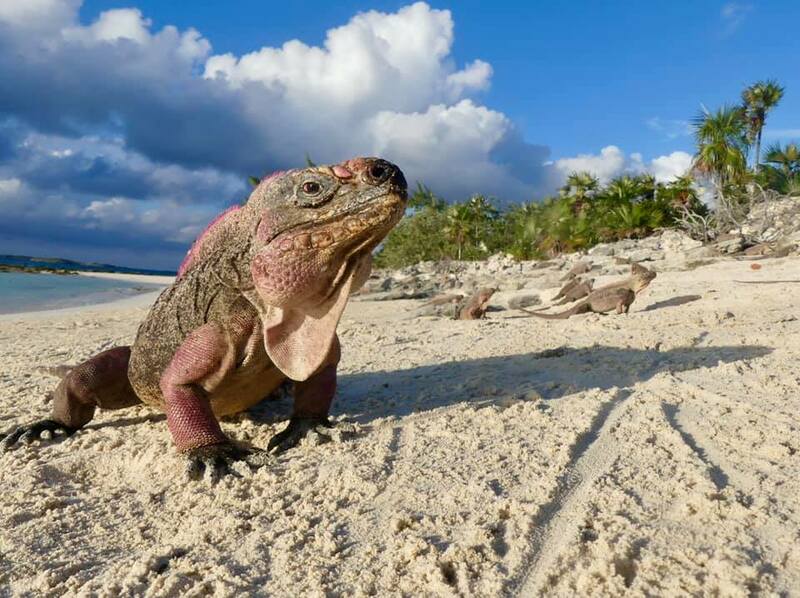 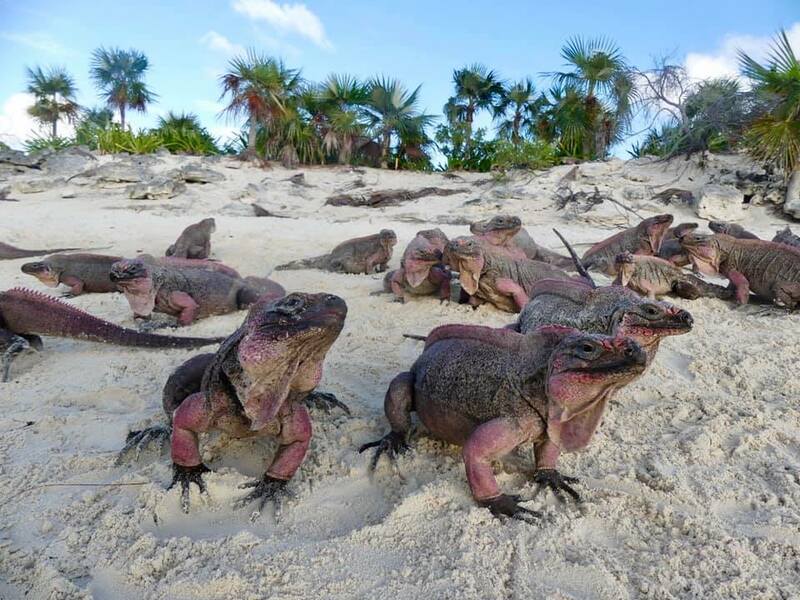 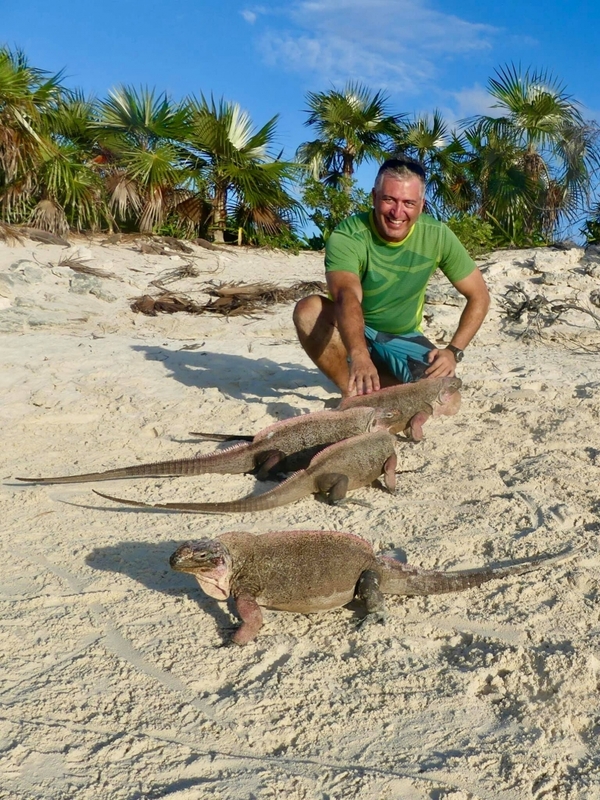 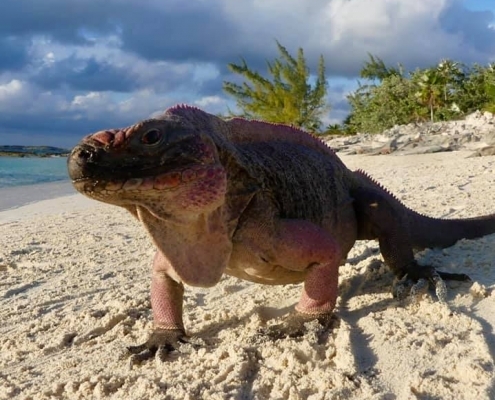 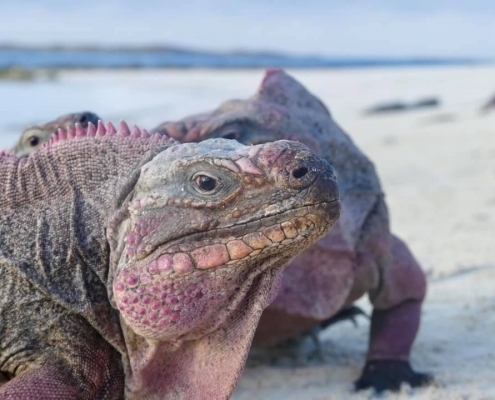 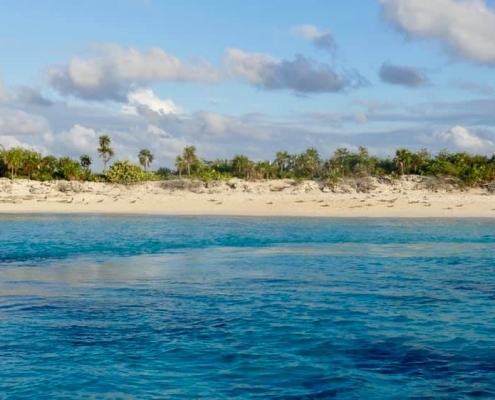 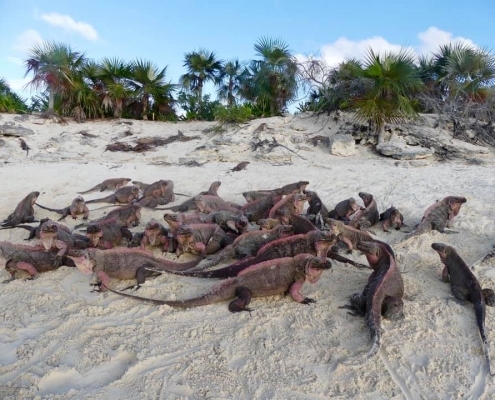 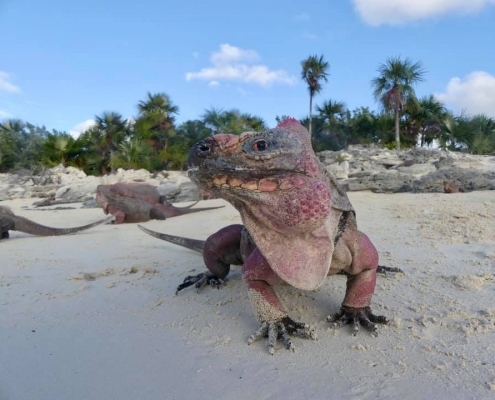 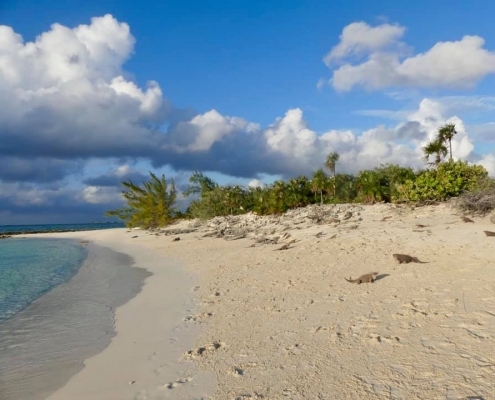 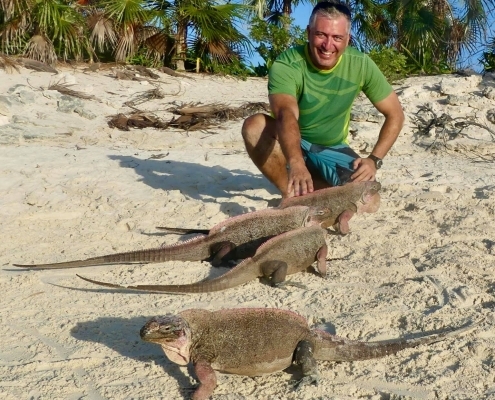 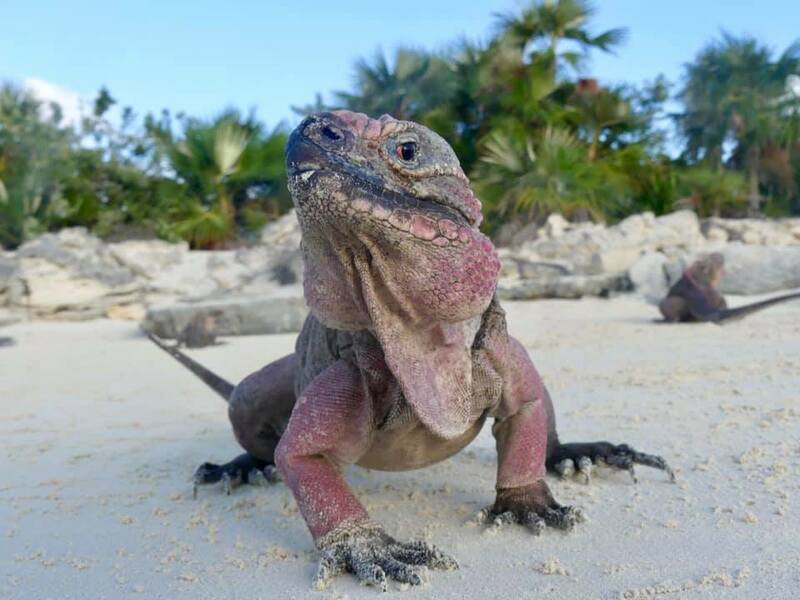 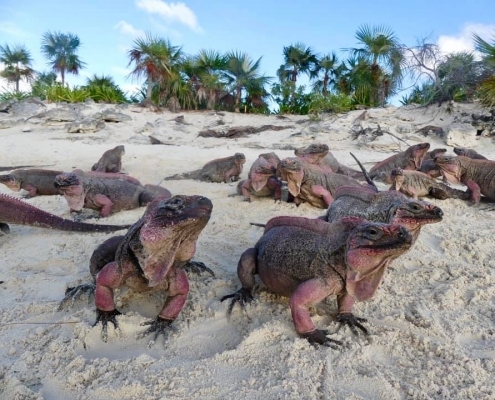 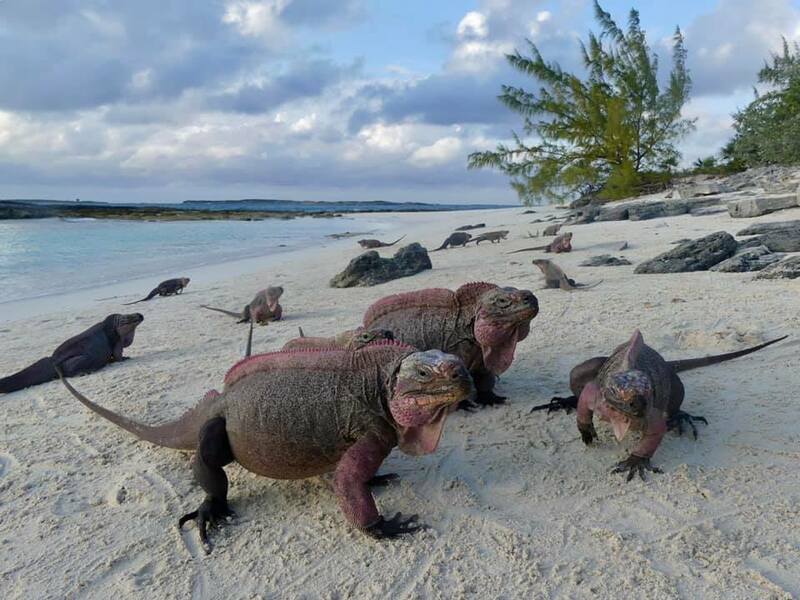 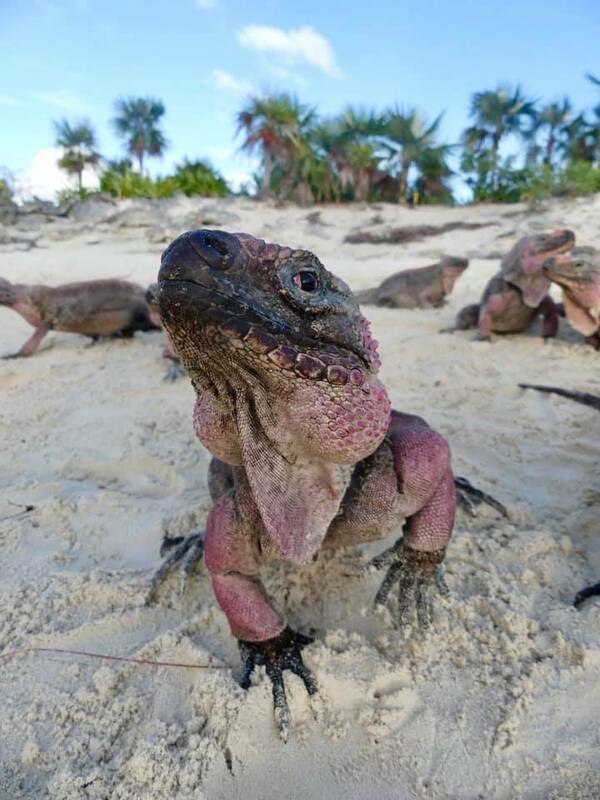 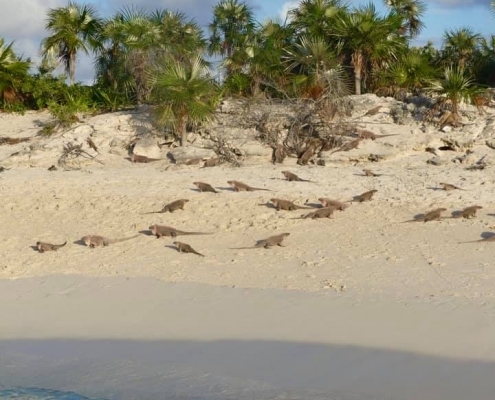 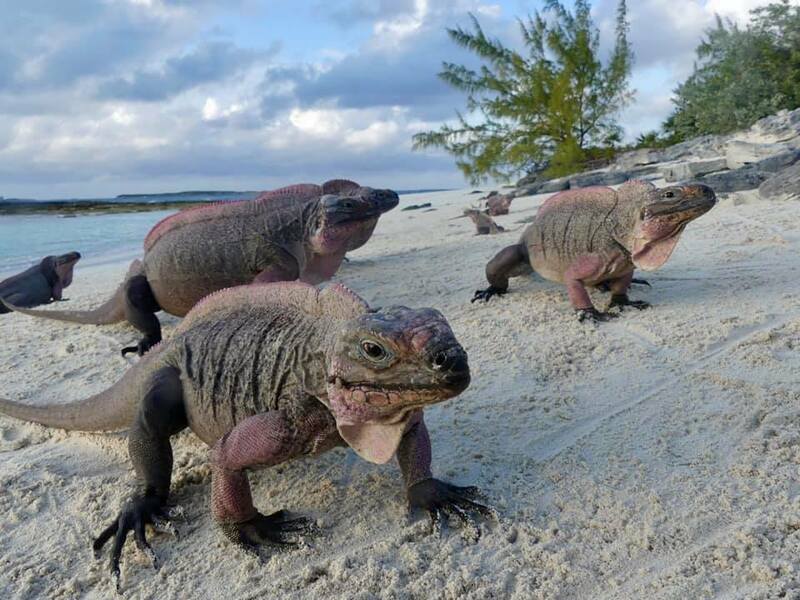 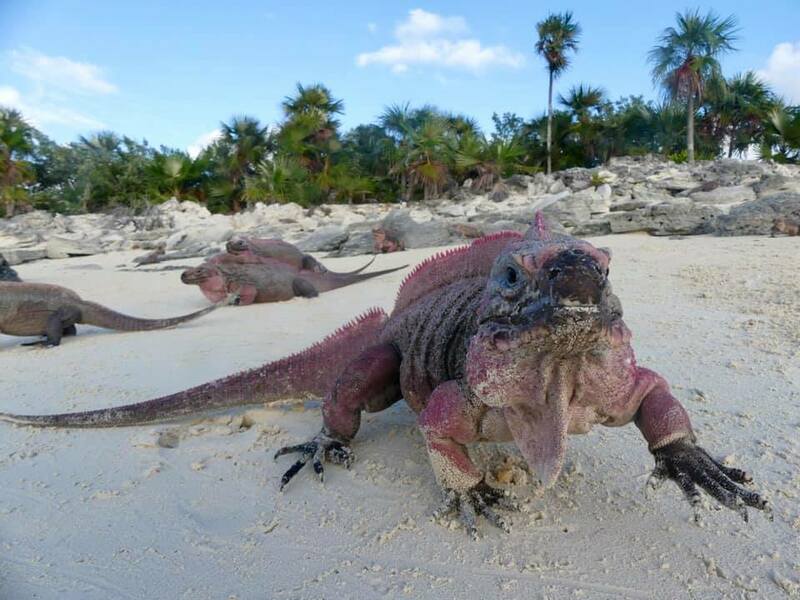 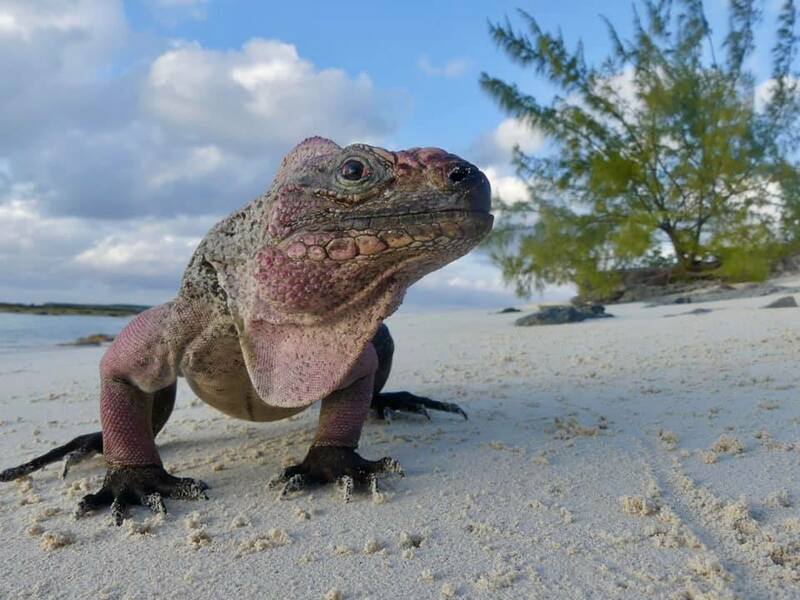 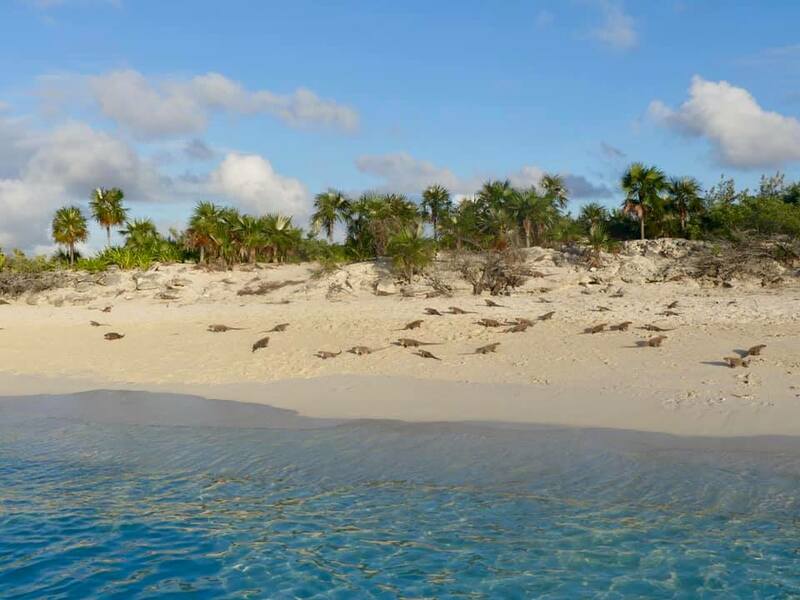 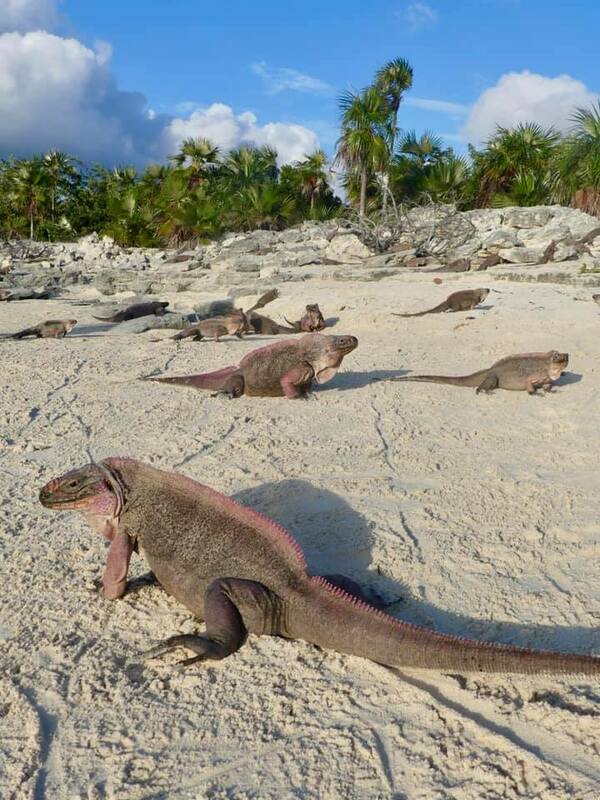 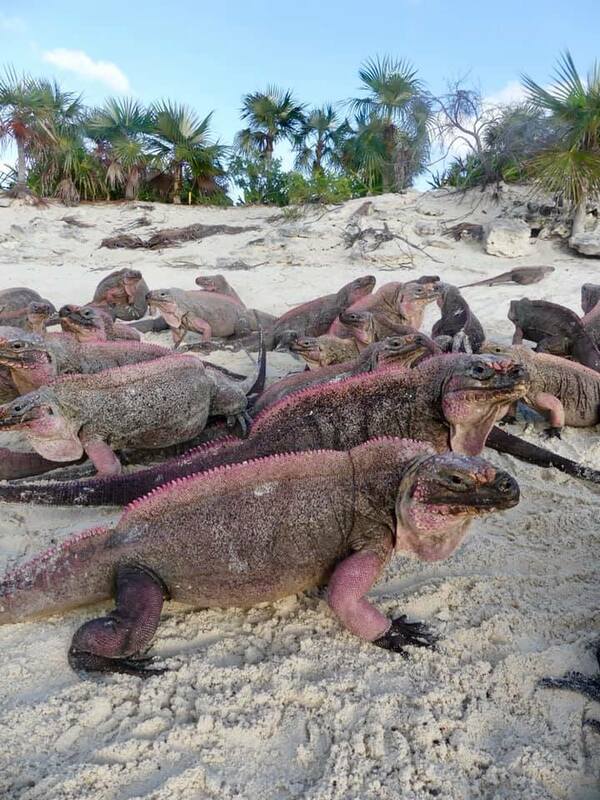 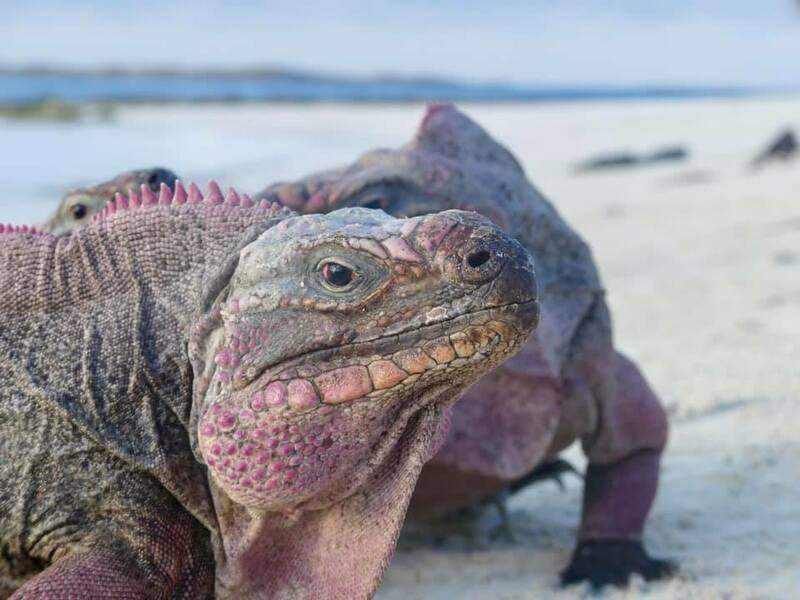 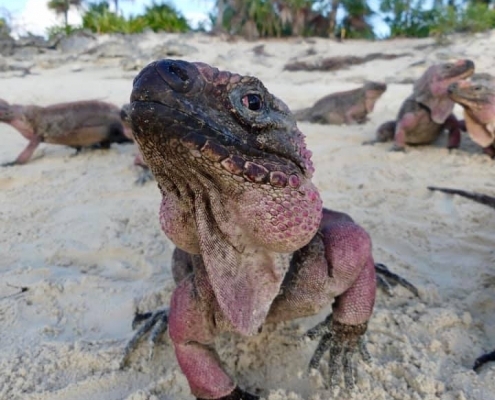 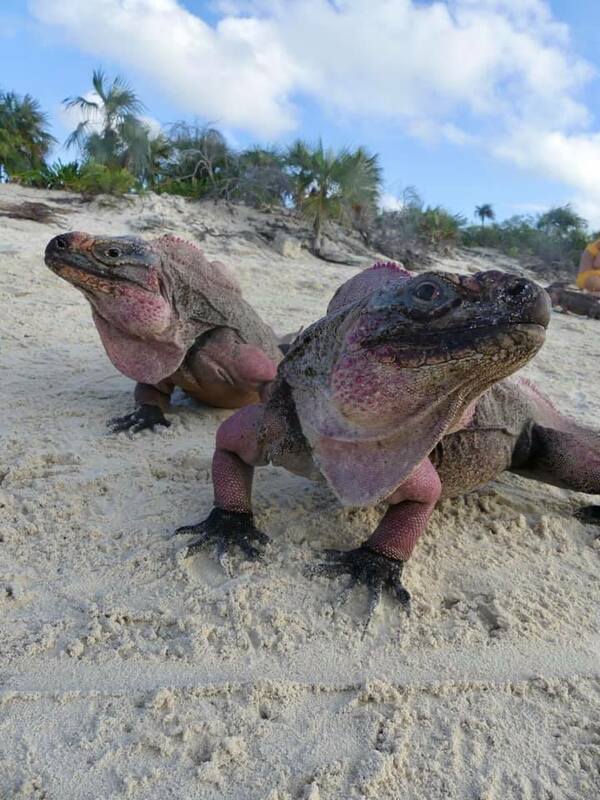 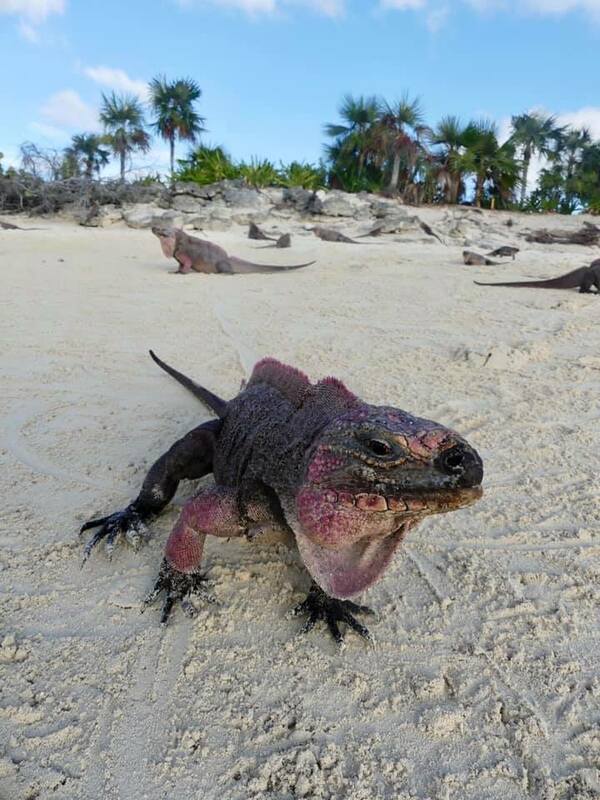 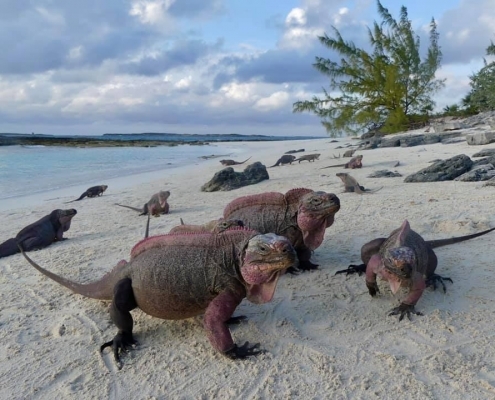 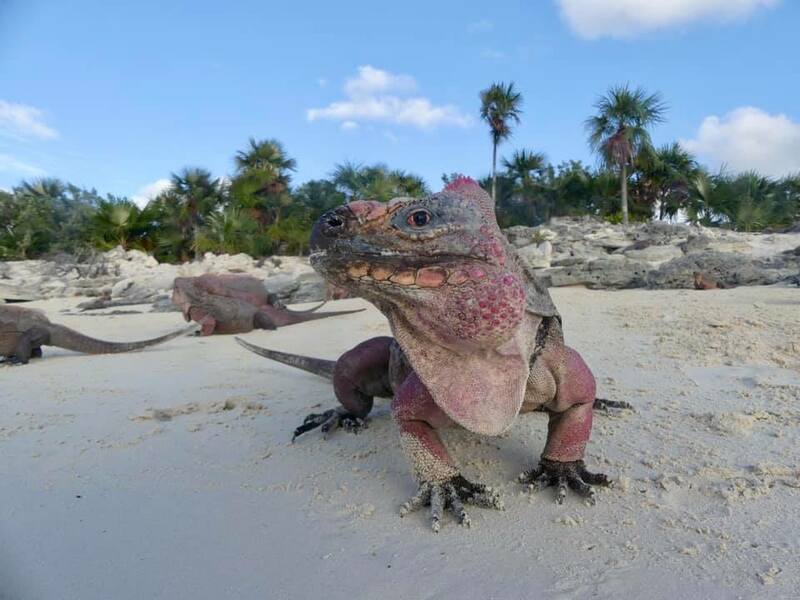 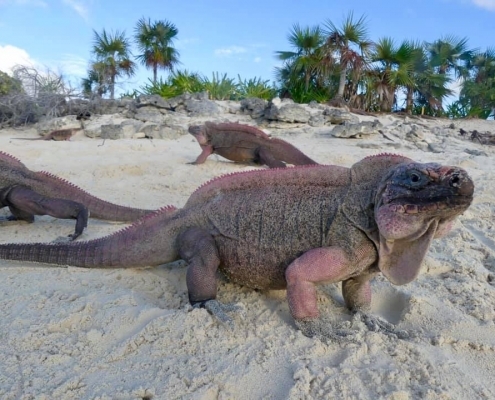 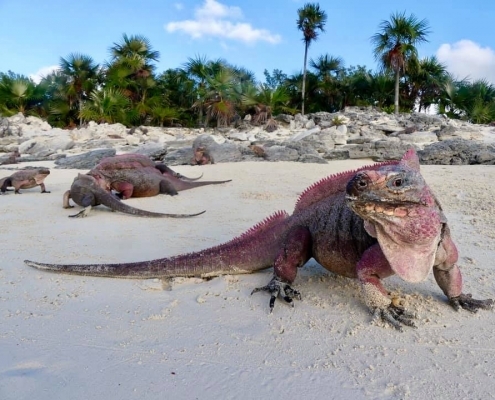 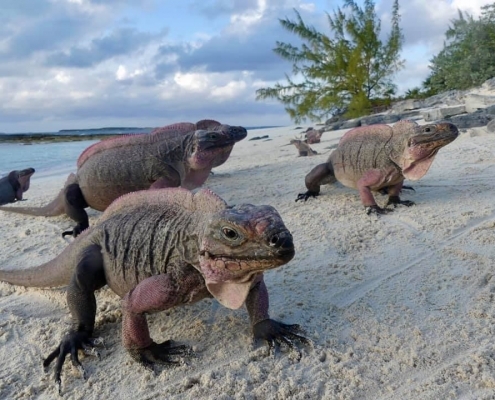 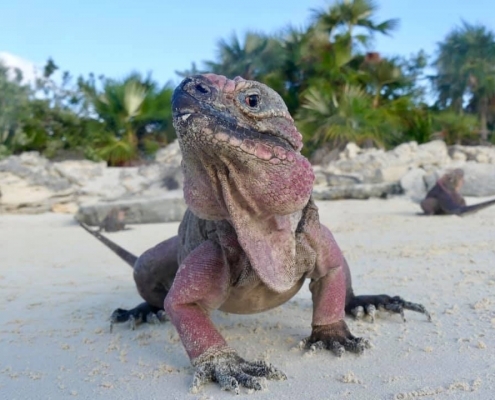 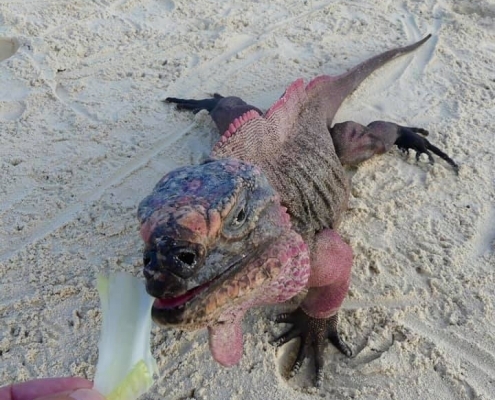 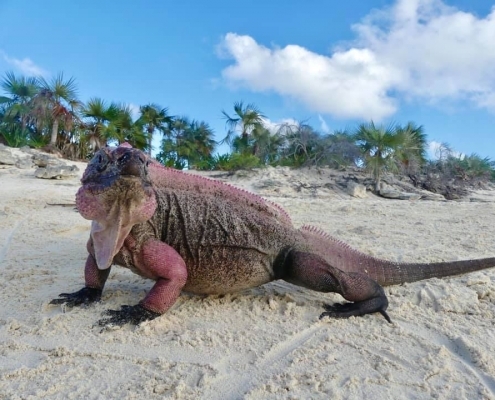 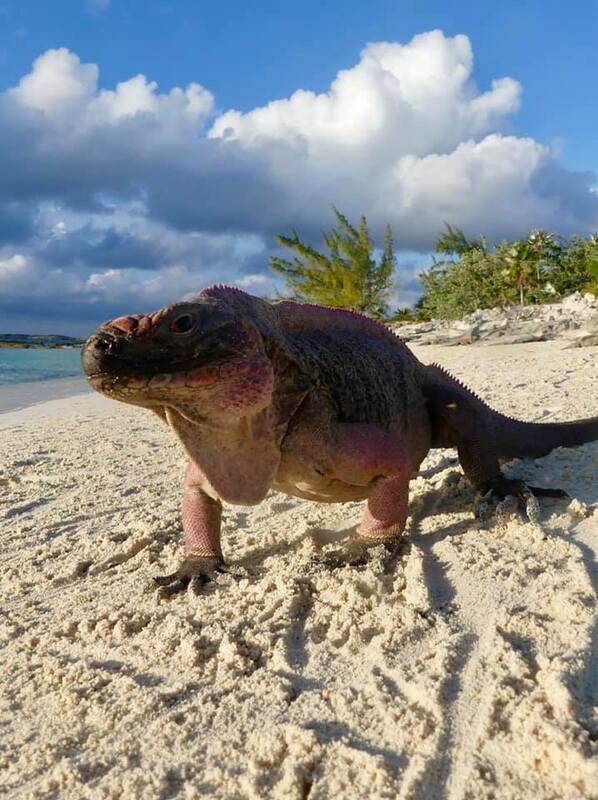 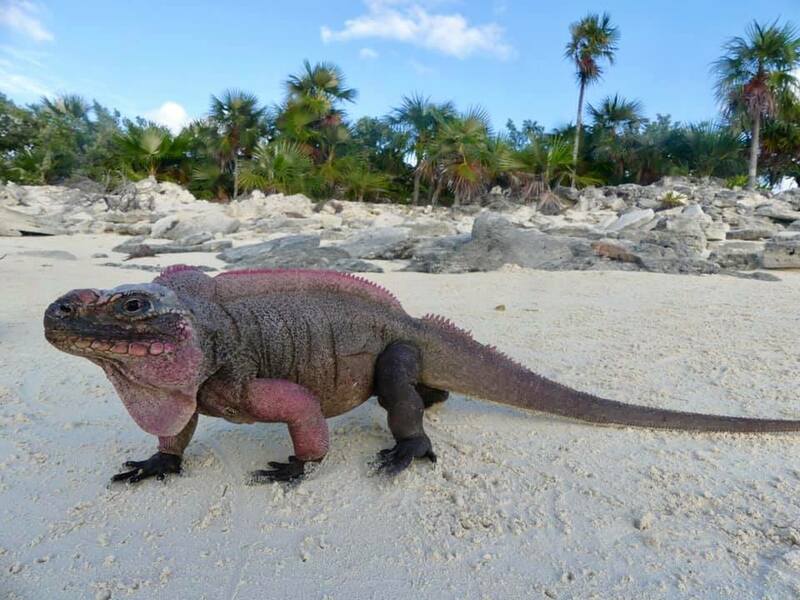 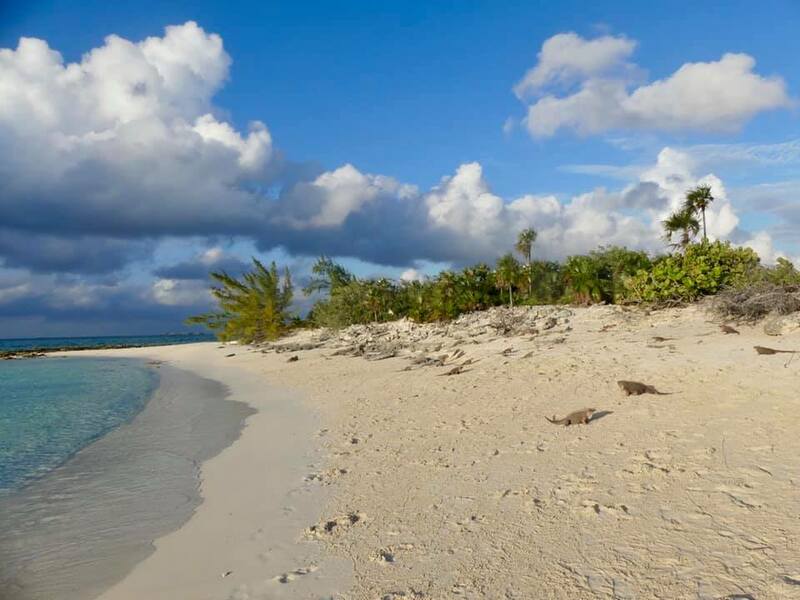 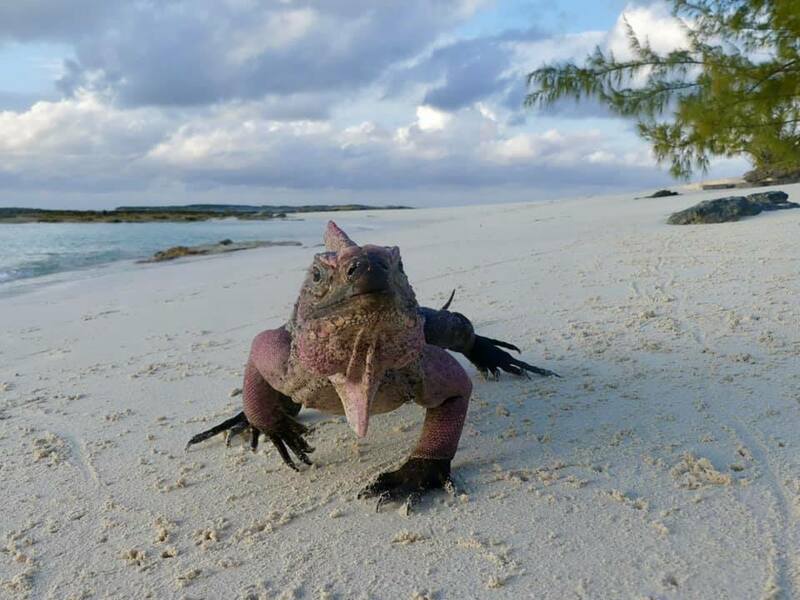 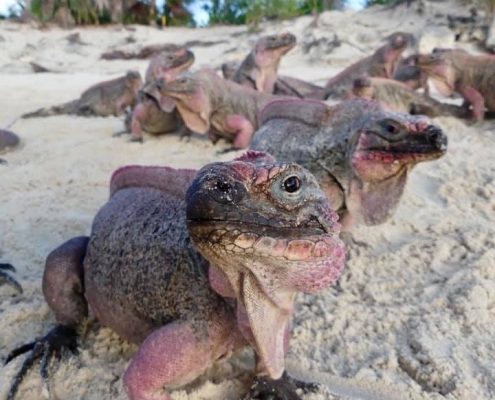 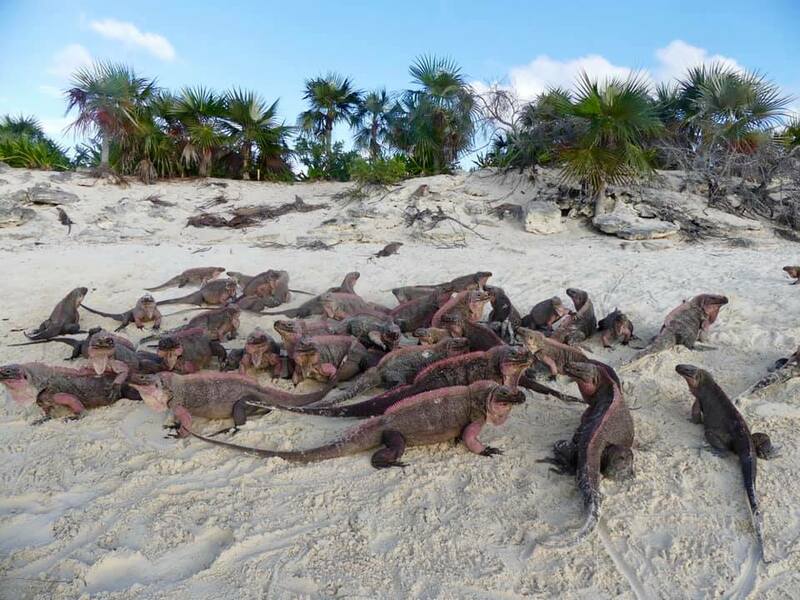 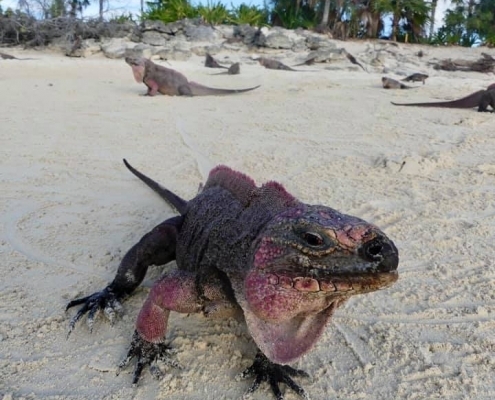 This small island is home to around 1000 Bahamian iguanas, one of the rarest iguanas on earth. 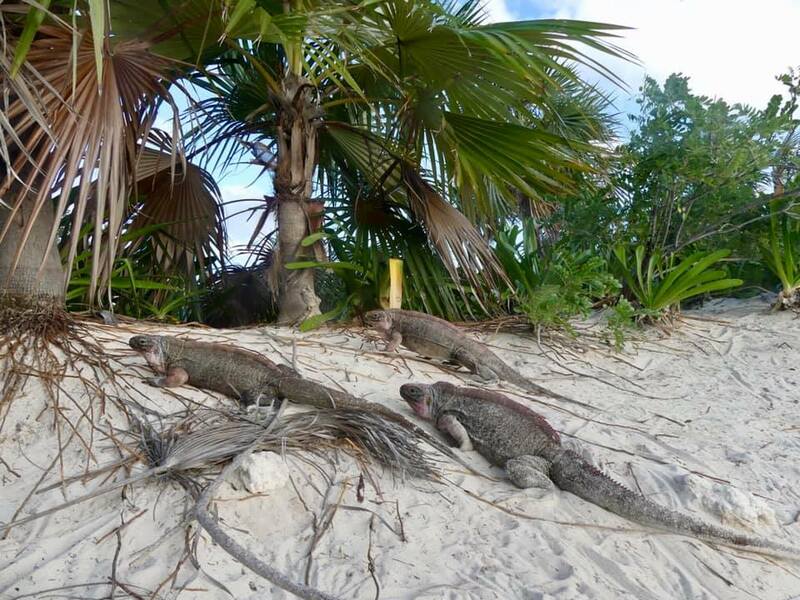 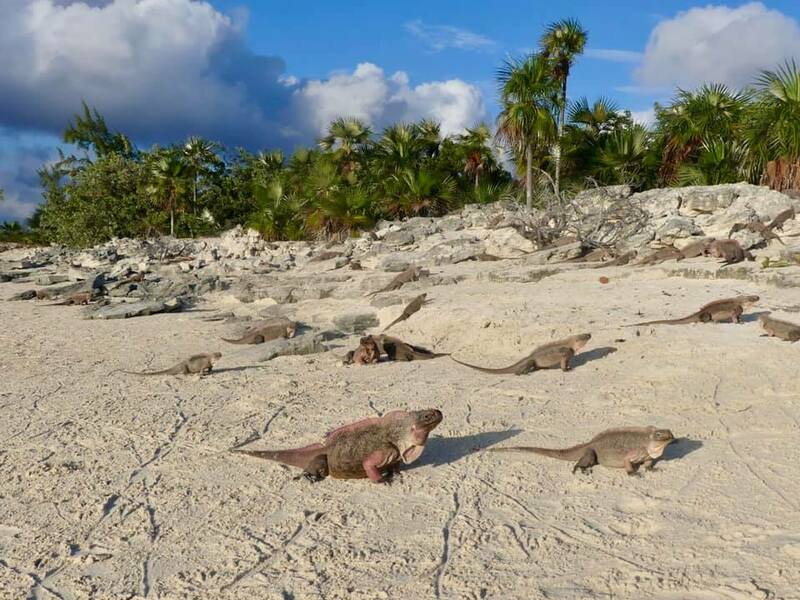 It’s like a mini-Jurassic Park: you land on this island and all you see is hundreds of these prehistoric dinosaur-lookalike iguana lizards. 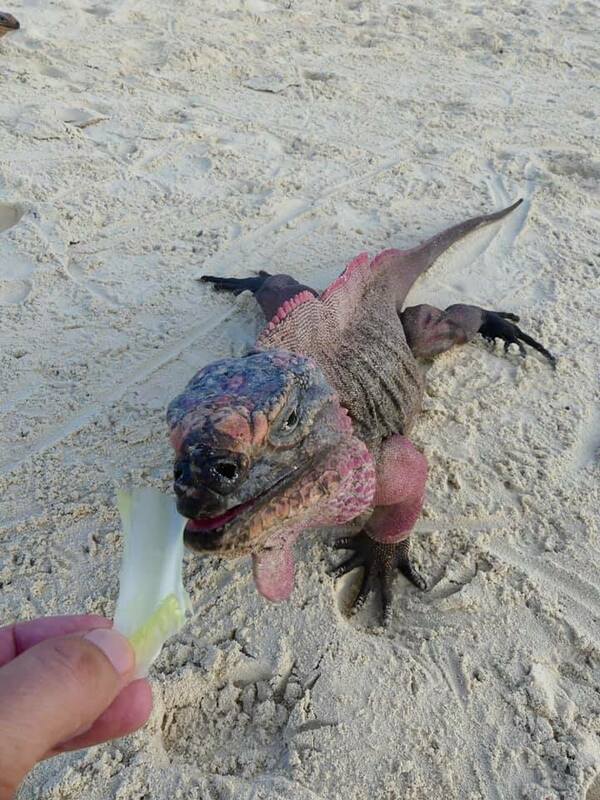 They come close to you as they are accustomed to being fed with leaves and cabbage – they are herbivores despite the scary looks. 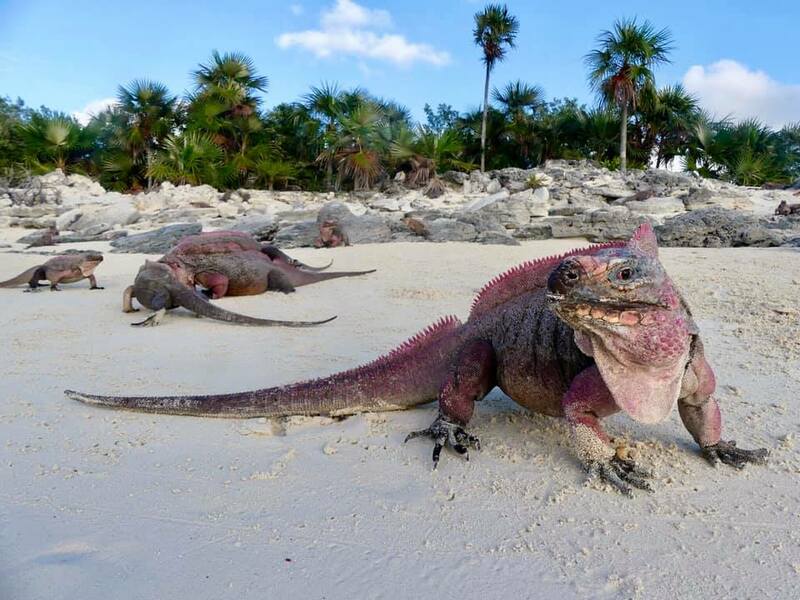 Similar in shape and size to the more common green iguanas found in Florida, these are more colorful with red and pink and brown accents.